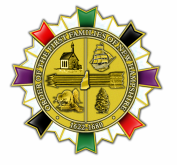 - Honor those hardy and enterprising early ancestors who concentrated their efforts, labor and skills in building the enduring greatness of the State of New Hampshire. - Recognize and record those individuals who established residency, owned land or businesses within the boundaries of present day New Hampshire between 1622 - 1680. - Educate, preserve and increase the knowledge of the history of New Hampshire by the preservation of documents and the recording of family histories, lineages, and traditions. - Be involved in charitable and educational efforts and to support patriotic, genealogical, literary, historical and social activities that further the purposes and objectives of this Order within our country.